Sudanese Foreign Ministry official Abdelghany Naeem, on Tuesday, said his country hopes the revival of President Donald Trump’s travel ban on Sudanese citizens will not affect the planned lifting of US economic sanctions on the conflict-stricken nation. The Supreme Court of the United States on Monday partially lifted an injunction against the travel bans issued by President Donald Trump. The apex court’s decision allows the travel ban on nationals from Iran, Libya, Somalia, Sudan, Syria and Yemen that lack strong ties with the United States. 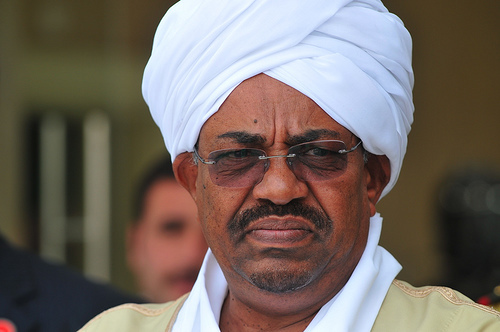 “We hope that this ban decision will not affect next month’s decision to lift U.S. economic sanctions, especially because Sudan has completed all the roadmap requirements that were asked,” the Foreign Ministry official told Reuters. Sudan is listed by the US as a country supporting terrorism. Portions of a decade-old sanction were eased by former President Barack Obama before he left office. Before the sanctions were lifted on 13 January, Sudan had been under US trade embargo since 1997. If President Donald Trump approves the lift, Sudan will, for the first time in two decades, be able to receive imported goods and services from the US. The lift will also release frozen Sudanese property and assets held in the US. Posted by Khalid Al Mouahidi on June 28, 2017. Filed under News. You can follow any responses to this entry through the RSS 2.0. You can skip to the end and leave a response. Pinging is currently not allowed.